Ready. Set. Pack. This up and coming weekend is Labor Day and it’s your last chance to squeeze any fun out of the summer. If you’re like me, constantly heading out of town with friends at the very last minute. It’s a good idea to get practice on how to pack a duffel bag efficiently. What better to practice this on, but a new overnight bag. I prefer the Dagne Dover Landon Carryall in Smoke. It comes with a padded laptop sleeve, an air mesh pouch, water bottle pocket, shoe duster and stretch key leash. My favorite feature is a discrete built-in smartphone sleeve on the back of the bag. But all this luxury comes at $185, which is kind of steep. 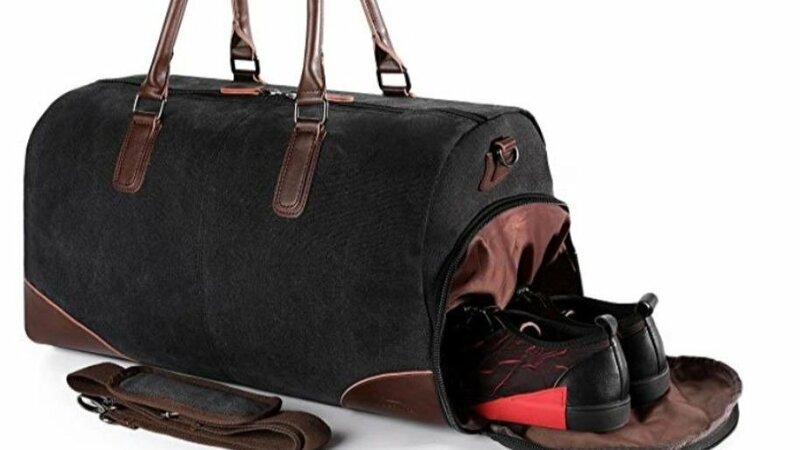 If you’re looking for something just as luxurious but at a more affordable price try the Fresion Canvas Duffle Leather Carry-On comes with top-quality soft canvas and leather-woven fabric to resist rips and tears. It also comes with a shoe pouch, main zipper pocket and an inner wall pocket built to hold your phone, keys, pens & more. The fabric on leather comes in black and gray and is a classic look at an affordable price point at less than $40. Likewise, the Mier Unisex Travel Duffel Bag in black is a great option if you’re looking for a basic overnight bag with clean lines that fits well with a minimalist aesthetic. This is perfectly sized so it can vacillate between being your carry-on luggage, gym bag and weekender. 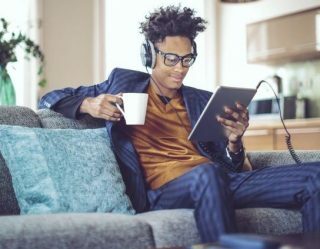 It’s interior features a velvet padded sleeve to tuck away your tablet and a zipper pocket for valuables, but its exterior has a full-width zipper front pocket and two end small zip pockets for added storage. At under $25 dollars, it’s one of our favorite choices that won’t break the bank. 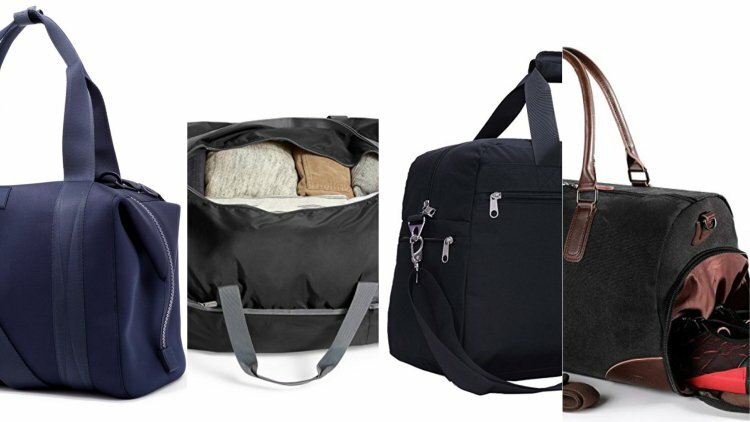 In the case that you don’t want any bells and whistles, just a place to carry your clothes Amazon Basics Light Duffel Bag is exactly what you’re looking for. 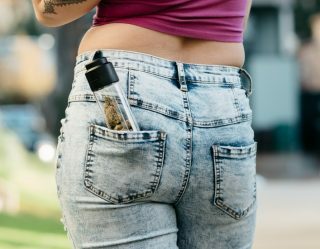 It features an inner and exterior pocket to house your smaller items, is made of 100% nylon and holds up to fifty pounds, so it can double as a laundry bag. 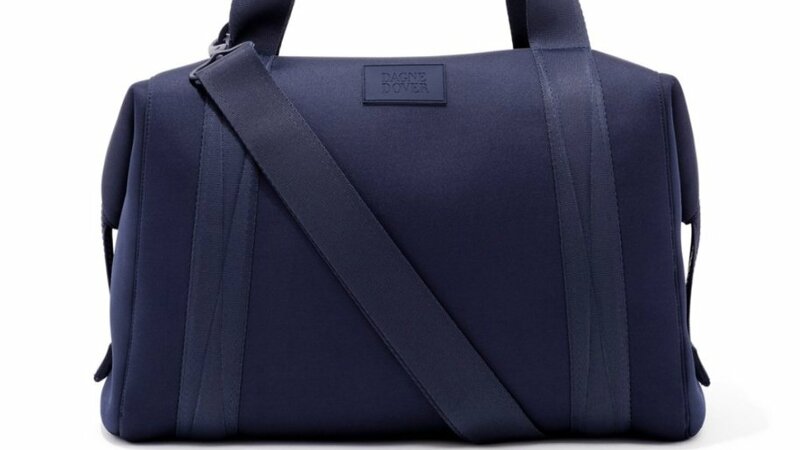 This duffel comes in black, navy and red. Once you’ve chosen your weekender, the principles of packing are easy. I recommend the tuck and roll strategy, but if you’ve tried it and don’t like it, I suggest you try packing cubes to help sort your belongings. Packing organizers really take the stress out of having to find something in a hurry. You just pull out the allocated cube and grab what you need. 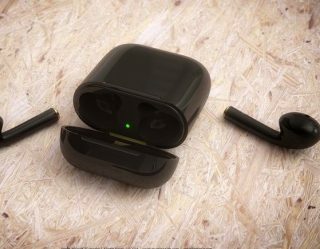 Plus, they’re especially helpful if you find yourself having to travel a lot for work. This 4-Set of Packing Cubes by Bagail is a steal at less than $20 bucks. This should go without saying, regardless if you use packing cubes or not, pack only what you need. If you’re going to be somewhere for three days and two nights, you can get by with limited clothing. Three t-shirts, a dress shirt, a blazer or jacket, pants, shorts, a versatile pair of shoes, socks, swimsuit and underwear. Roll up the socks and swimsuit then shove them in your shoes. Place your shoes inside a bag and tuck them on the bottom of your bag. On either side place your bulkiest items (ie. pants, hoodies and shorts). Everything should be rolled up to provide ample space for the rest of all of your belongings, including your toiletry bag. Then roll your smaller items like t-shirts, dress shirts and underwear, and tuck them between your bigger ones. And finally, fold your jacket or blazer in half and place it on top of everything. With a nice, new duffle bag these practical tips for packing will make sure you’re ready to go anywhere on super short notice. And if you can’t be ready to adventure on short notice, why are you even alive?